Wood Flooring Loveland: What is Engineered Wood? It’s hard to beat the look of hardwood floors. They are a beautiful, classic option, but they can also be expensive, and prone to damage in wet conditions. Looking for the same great look, but with more versatility and a smaller price tag? Try engineered wood flooring by Gateway Design and Home. Engineered wood is real wood. The layer you see and walk on – and often the bottom layer too – will be made of hardwood. The difference is what lies in the middle. While hardwood floors use the same materials throughout, engineered floors contain an unseen core of plywood. These crisscrossing boards are what give engineered wood its strength and versatility. You get the beauty of hardwood, without the restrictions. You probably won’t even notice the difference. There are a few downsides to engineered wood. For one, there are not quite as many options in the type of wood you can choose for the top layer. Depending on the options you choose, engineered wood is also thinner than hardwood in most cases and, therefore, is more delicate. If you need to take care of scratches or damage, engineered wood can typically only be sanded once or twice, and it should be done by a professional service. It also shares hardwood floors’ weakness for wet areas. 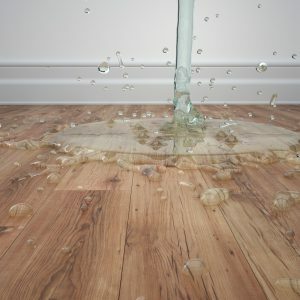 No wood floors, whether they are solid hardwood or engineered, should be installed in very wet areas or those that are prone to flooding like basements or children’s bathrooms. There are also many benefits of choosing engineered wood. To start, it is often cheaper than solid hardwood floors. It is also more water-resistant. Because of its multilayer construction, engineered wood won’t expand or warp like hardwood floors do in reaction to moisture or humidity. It is also comes with more versatile installation options. Unlike hardwood, engineered wood can be installed over concrete or in relatively dry basements. It can also be installed without a subfloor, which means it is a good option if you live in a condo, townhouse, or other property with slab concrete floors and you don’t want to pay the additional costs of adding a subfloor. 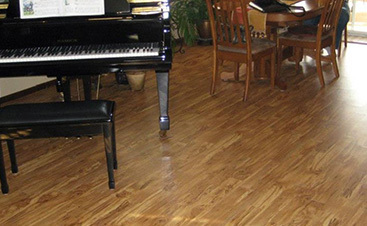 Engineered wood can be nailed or glued down like hardwood floors if that is your preference, but if you are looking for cheaper options, engineered floors can also be installed as floating floors. In a floating floor installation, the planks or boards lock together like a jigsaw puzzle and don’t need to be anchored to the floor. It is a much easier technique to learn if you want to save costs and do your own floor installation. Engineered wood flooring is a great alternative when you want the look of hardwood floors without the cost or installation restrictions. They can often be sanded and refinished a few times to repair damage and they have excellent resale value, just like hardwood. 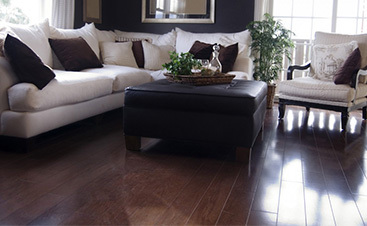 It mimics hardwood durability and we can match many of the same wood varieties. You can get what you want without the compromise. 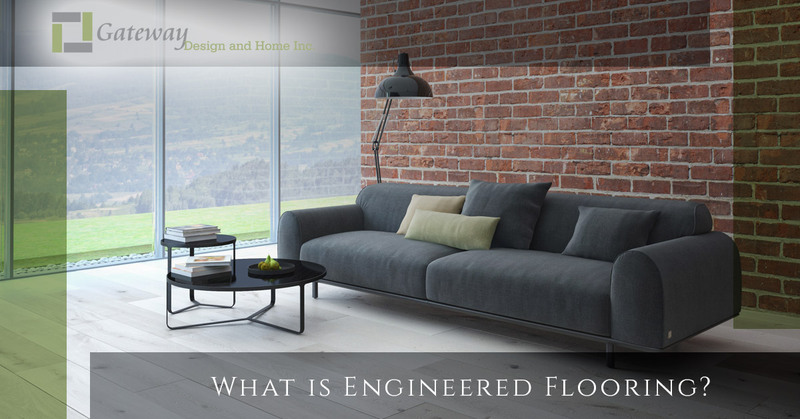 Want to know if engineered wood flooring is for you? Call Gateway Design and Home Center today!